If you’ve lived in Portland for more than a couple of decades, then chances are good you can recall a time when the area between the 405 and Old Town, north from Burnside to the Lovejoy Viaduct was a virtual wasteland, home to a collection of sagging warehouses, a startup brewery or two, and a few book binderies, small steel mills, and our city’s homeless population. Powell’s and Bridgeport Brewing notwithstanding, it wasn’t a neighborhood many Portlanders wanted to spend time in – let alone inhabit. Fast-forward to the second decade of the twenty-first century, and the Pearl district, as the neighborhood has been rebranded, is now home to some of the city’s best performing arts venues and galleries, terrific shopping, a vibrant restaurant scene, and some of the city’s most beautiful condo and loft buildings. The neighborhood became a beacon for those wondering what to do with blighted neighborhoods across the country, and it’s still being developed. New buildings are going up, albeit not at the same rate as when the city’s largest ever urban renewal project began, and the Pearl District is now one of the most sought-after (and priciest) neighborhoods in new Portland. There is virtually nothing you cannot get either in the neighborhood or in one of the adjacent areas, and it even has its own guide online to help you locate everything you might need. 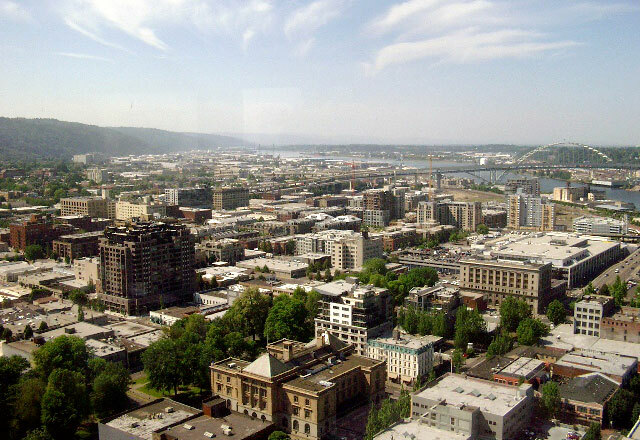 The Pearl is centrally located, just across Burnside from downtown and within a handful of blocks of Tom McCall Waterfront Park. The Pearl has a large Post Office, multiple banks, and a couple of grocery stores, including both a Safeway and a Whole Foods within its borders. As mentioned above, the Pearl has a large restaurant scene, many of the city’s art galleries, a handful of performing arts venues, and more boutiques and mid-size retailers than just about any other neighborhood in the city. Those in the market should note that the Pearl is one of the most popular higher-end neighborhoods in all of Portland. Because of its location relative to downtown, and its many and diverse amenities as a neighborhood (not to mention the relative newness of its homes), it is also one of the city’s most expensive neighborhoods in which to purchase. But, given that almost 100% of the homes in the neighborhood are condos or lofts, those on a budget may still be able to find a home in the Pearl. According to Niche (which ranks the Pearl as the sixth most desirable neighborhood in the city), the median home value in the neighborhood is just below $400,000, and the median rent is $1,350. Both of these figures are considerably higher than the national average; further, nearly 70% of Pearl residents rent. Homeowners have seen the value of their homes increase almost exponentially over the last couple of decades. The Pearl, though it may not be the best neighborhood for everyone, is easily one of the nicest, most vibrant, and well-appointed neighborhoods in all of Portland. It hasn’t always been a jewel in the crown of Portland’s urban renewal aspirations, but it does serve as a great example of what public-private development projects can do if they have the right backing and the right location.